Invariably I have these medical types give a class presentation on alternative medicine, and inevitably one of my Chinese students will deliver a lecture on acupuncture. In fact this term we had three such presentations. The best description of the whole concept came from my student Shu, who showed a map of the Calgary C Train system to illustrate that the flow of the C Trains is like our Chi, our energy, and the stations on the map are like the pressure points on our bodies. The same day, another student with the western name of David, who is a doctor from China, gave a presentation on the practice of cupping. As I sat listening with my aching back to these presentations, it suddenly dawned on me that rather than sit there in discomfort for the rest of my days, perhaps I should check out acupuncture myself and see if it would offer me some relief. 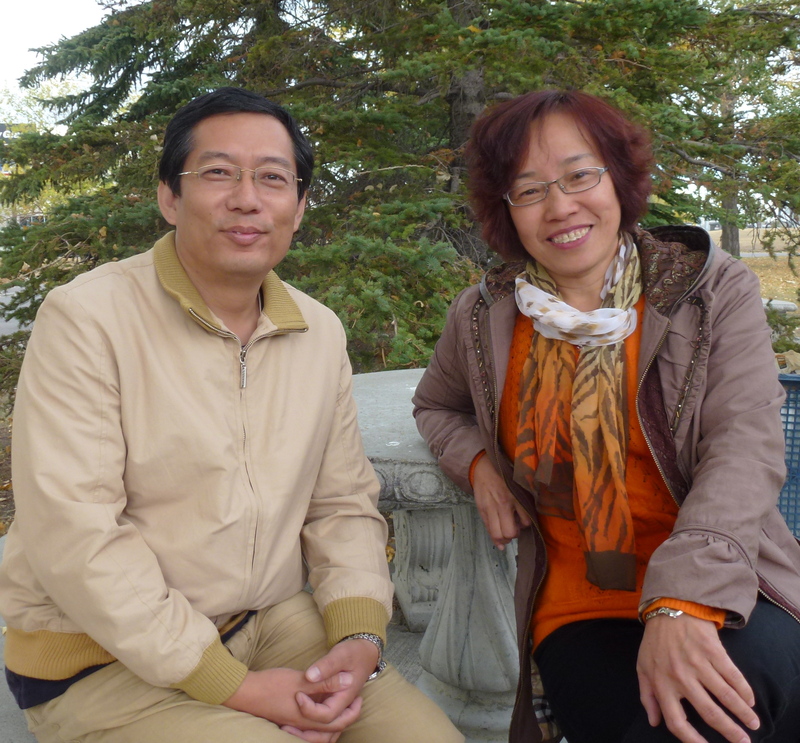 And so on a lovely Saturday morning in the late autumn, my friend Gord gave me a ride to the outer reaches of North West Calgary and I found myself in the home and small clinic of a very “authentic” Chinese acupuncturist, Fangping, a friend of my student Shu. Lying there with the muscles thus torqued, I felt a gentle pressure being exerted, causing a stretching in the area that seemed to relax the underlying muscles. The cups were left there for about ten or fifteen minutes and when they were released, the whole area felt more relaxed. It’s hard to explain just what it felt like, exactly. But it certainly felt different. And then came the main event, the acupuncture itself. The needles were inserted along my lower spine, then out towards the hip in the upper buttock area, as well as a couple at specific points behind each knee. It was impossible to see what she’s doing but she seemed to manipulate the needles (jiggling them up and down) in a pattern at regular intervals. I went into some kind of deep trance while this was going on so it’s hard to say. After half an hour or so, the needles were removed and I was good to go. Because it was my first time, I may have been a bit apprehensive at certain times, but I can honestly say that nothing Fangping did caused me any pain whatsoever. All in all it was a very easy treatment to endure. So the big question . . . did it work? Yes. In fact, it did. I did something to my back cycling about a month ago and have been in pretty consistent pain ever since. It’s usually manageable with a bit of rest and some Advil (amazing what one can get used to) but sometimes it can get very uncomfortable. And painful. Obviously it was bad. Why else would I have sought out help? I got back home from my session and lay down for a bit, and when I got back up I didn’t feel any pain at all, not even a twinge. By the end of the evening, there was a bit of discomfort, but it still felt much better. I didn’t expect a problem that’s been present for decades to magically disappear after one session. Fangping suggested I come back for a few more treatments and I will. 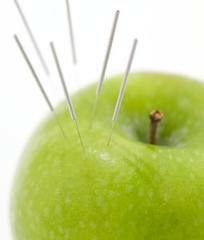 There are other more esoteric applications of acupuncture that interest me, beyond a quick fix of a bad back. These have to do with the above mentioned flow of the chi through our bodies. Could repeated treatments make one feel more awake, more alive, more happy? Or cause one to see and hear better, sleep better, quit smoking, lose weight? I see no reason to think that it wouldn’t help in any or all of these areas, and then some. As far as I’m concerned, you can’t argue with results. If you have ever thought of trying acupuncture for whatever ails you, I highly recommend it.